Hacking – tips to help you enjoy your time with your horse.Hacking should be a deeply relaxing, pleasurably activity to do with your horse. Enjoying the beautiful countryside in the company of your four-legged friend can be the perfect way to start or end your day, or indeed spend your whole weekend doing! It conjures up feelings of freedom and unity with your horse. It . . . 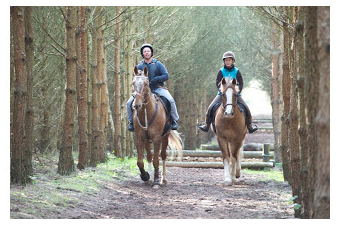 Some horse’s find a balanced canter difficult, so it’s good to always try and remember the canter . . . Build your riding confidence with these simple stepsLack of confidence when riding your horse is . . .
VICE SQUAD – Is the horse's behaviour a direct result of the psychological pressure we subject them . . .
VICE SQUAD - STOP AND THINK! Is the horse's behaviour a direct result of the psychological pressure . . . MOUNTING ADVICE AND TIPSScenario "When Mary went to get back down onto the mounting block her . . . The importance of groundwork - Getting your horse to listen! The winter is by and large a very . . . Adjust Your Striding using polework and fences Polework/Jumping exercisesUsing poles and . . . There are many exercises you can do involving leg yield but here are a couple to get you started. . . .
Are you a newcomer to riding, returning to this fantastic sport after a break or simply been riding all your life – then you will find our real riders stories motivational, eventful, funny and inspirational.